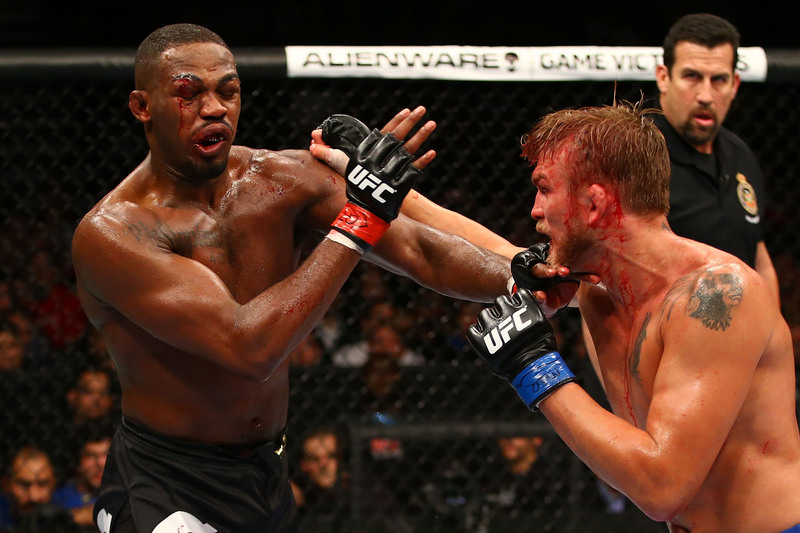 We’ve recently been hearing all sorts of news about why Jon Jones hasn’t signed the contract to face Alexander Gustafsson yet. Dana White has already climbed behind his “podium of power” to shame Jones into signing, as he’s done to other fighters before. He started off vague (“ask Jones” in response to questions from the media) and now he’s laying it on even harder. Quite frankly, I don’t trust White to tell the media the truth when it comes to high level negotiations. If I was going to think of a fake story to shame Jones into signing the contract, I’d probably come up with exactly the one White is telling—that Jones doesn’t want to fight Gus; and that he wants to fight Cormier instead. Facebook and message boards will be full of “Jones is ducking Gus” threads. The anti-Jones crowd will be appalled at his cowardice and claim that he’s spent his entire career ducking the best competition. Of course that’s false. He’s literally fought every contender the LHW division has produced—and actually a few that didn’t even deserve title shots in the first place. Glover Teixeira was named #1 contender before the incredible war between Jones and Gus. That wasn’t Jones’ fault that the UFC needs to stack up so-called contenders months in advance because of how weak the weight class is. But back to my point, supposedly Jones wants to face Cormier. Supposedly, he doesn’t want to fight Gustafsson. Supposedly, he will meet with the UFC to discuss all this later this week. Please forgive me if I wait until then to fully be able to give my opinions on this subject.